Treat your little ones to a delicious meal at The Tailors Arms for just £6.50. Choose a main meal, dessert and squash. Available Monday to Saturday! Book online for free text confirmation or call 0115 754 4487. Treat your little ones to a delicious Sunday Roast for just £6.95 and enjoy a delicious Sunday Roast Menu yourself! Sundays only. Book online for free text confirmation or call 0115 754 4487. Popular brunch offerings such as tomato and avocado on toast are available from £4.50, or enjoy a Tinker Tailor's Breakfast for just £9. Link through to the menu to view more delicious options. Advanced booking is recommended. Book online for free text confirmation or call 0115 754 4487. Get together with family and friends to relax and enjoy a Sunday Roast at The Tailor's Arms form £12.90. Upgrade to a leg of lamb for £14.50 or enjoy a mushroom wellington for just £11.50. Link through to the menu tab to view more delicious options available. Book online for free text confirmation or call 0115 754 4487. Tuck into a delicious lunch from £5.95. With plenty of options available enjoy an express lunch with colleagues, family or friends. View menu for more delicious options. Book online for free text confirmation or call 0115 754 4487. Get together with your friends or family and enjoy a delicious Afternoon Tea at the Tailor's Arms for just £15! Please note: All afternoon tea bookings must be made 24 hours in advance. Book online for free text confirmation or call 0115 754 4487. Get together with your friends or family and enjoy a delicious Afternoon Tea with a glass of Prosecco or Pink G&T at the Tailor's Arms for just £19! Please note: All afternoon tea bookings must be made 24 hours in advance. Book online for free text confirmation or call 0115 754 4487. Why not treat yourself this week and enjoy this delicious buffet menu for just £9! What a bargain. Book online for free text confirmation or call 0115 754 4487. Why not treat yourself this week and enjoy this delicious buffet menu for just £11! What a bargain. Book online for free text confirmation or call 0115 754 4487. Why not treat yourself this week and enjoy this delicious buffet menu for just £3! What a bargain. Book online for free text confirmation or call 0115 754 4487. Excellent meal yet again, we went on Mother’s Day. Very pleasant welcome and friendly and efficient staff. We will come again. Great meal for six this evening. All tried different mains and feedback on each was excellent. Great portion sizes. Attentive team too. We will be going again. Nice and cosy service was good efficient and friendly. Steaks very expensive. I asked for medium to well done and it definitely wasn’t my husband asked for medium and his was more done than mine we ended up swapping. Onion rings though were divine. Probably won’t hurry back. Great time with excellent food, great service and a buzzing ambience. The bisque was totally and utterly delicious, need more of it or even as a main course. All of us enjoyed our evening out. My starter of crayfish bisque was impressive to look at but very difficult to eat (no spoon provided, and there was an entire scallop shell sat in the centre of the similar-sized bowl!) My roast beef was well done when I was told it would be served pink, and the Yorkshire pudding was very dry, but the roast potatoes were very tasty. Well done to all at this new venture. Thoroughly enjoyed our meal with some great service. My wife tells me they do a great lunch as well. Really lovely Sunday lunch. We all had something different : pork, lamb, beef and chicken. All of them were great. Deserts were lovely. A relaxed atmosphere and good service. The bar area can be a bit noisy but the steaks come up tops every time. The steaks are excellent and the wild mushroom risotto to die for! The service was brilliant and food delicious! Excellent food! Tried the majority of their dishes. Can't fault any of them. Highly recommend The Tailors Arms. Friendly staff especially Amanda who lightens up the place with her exuberance. Impressive refurb, excellent food at a reasonable price and attentive staff. What more could you ask for. Beautiful fillet steak but really didn't like the peppercorn sauce, however, will definitely be returning, the chips are lush! Great service. 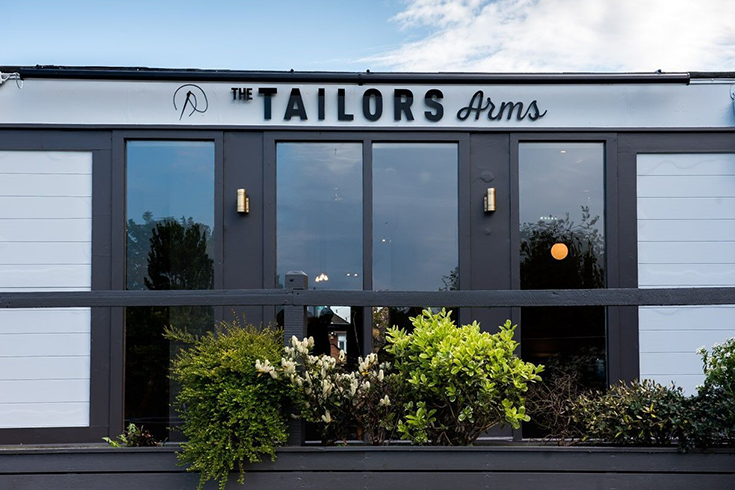 Situated in the heart of Wilford, Nottingham is The Tailors Arms; a smart and sophisticated British gastropub and bar. 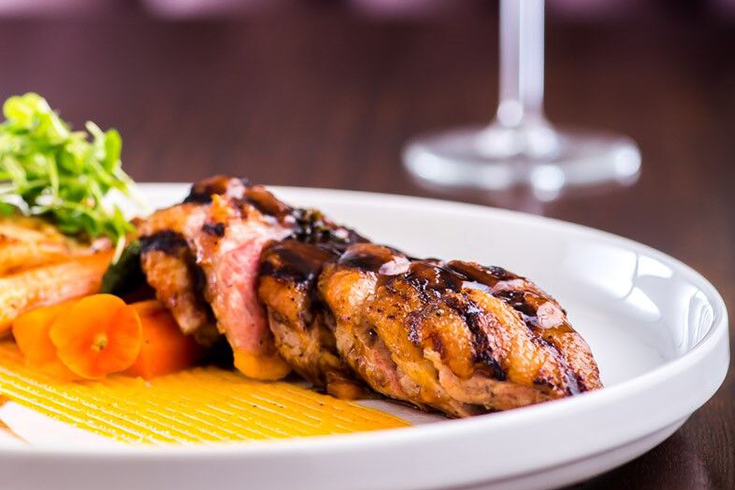 The restaurant is located in a village close to the city centre, it's walking distance to the Wilford Lane tram stop as well as local bus connections, making it easily accessible for any occasion. 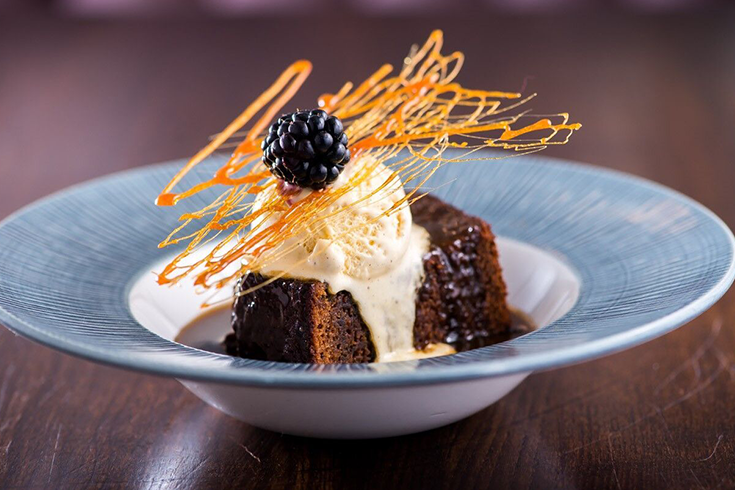 The Tailors Arms has recently opened its doors by the owner of a well-known Greek Restaurant Cuzina in West Bridgford, so you know to expect the very best. The restaurant serves up astonishing homemade quality dishes, with locally sourced ingredients. The contemporary interior of the restaurant blends well together with wooden and classic furniture, creating a smart Brittish gastropub & bar. The restaurant area provides a warm and welcoming ambience, which combined together offers a great atmosphere for a unique fine dining experience. 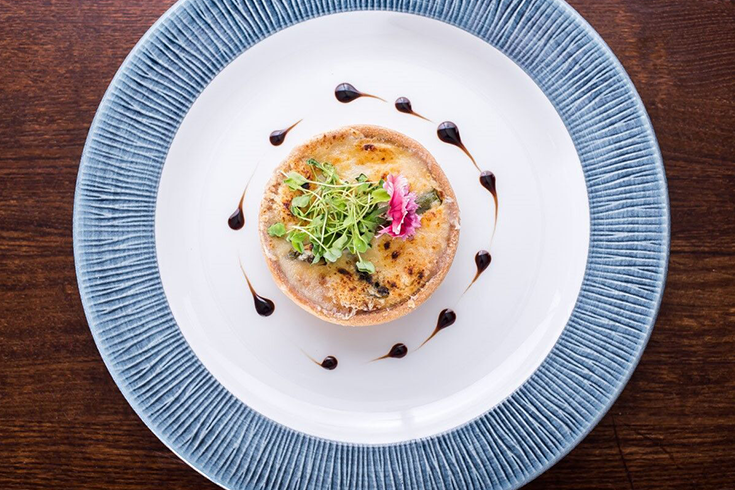 The gourmet menu features a classic selection of delicious British dishes offering brunch, lunch and dinner. Produced from high quality, locally sourced food, the cuisine offers innovative and exceptional meals. Brunch is served from 10 until noon with choices from the Traditional Tailors Breakfast or Avocado on Toast. From the lunch menu, you can expect a choice of classic sandwiches such as steak, chicken mango and falafel. 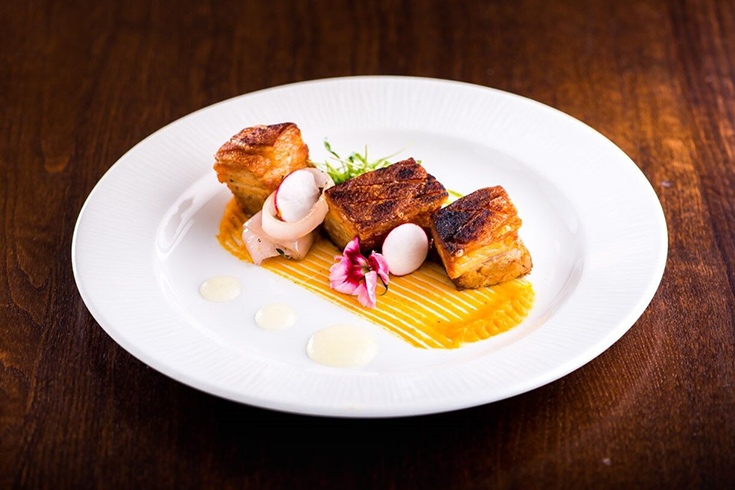 From the dinner menu, you can expect mouth-watering dishes such as a Pork Belly starter served with spicy butternut squash and applesauce, A main of Duck Breast pan fried with dauphinoise potatoes and sauteed veg or a Somerset Goats Cheese Pie served with creamed mash potato and spinach. The chefs are incredibly dedicated to delivering food to the highest standards with beautiful presentation. Not forgetting to mention the restaurant also has a children's menu making it perfect for family outings. 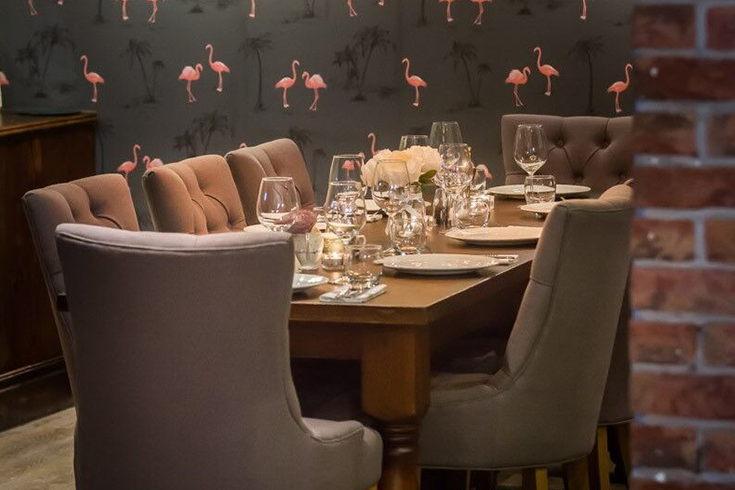 The restaurant also offers private dining suitable for large groups, which makes the restaurant perfect for any occasion, such as birthdays or even wedding celebrations. The restaurant and its private dining are also ideal for business meetings. 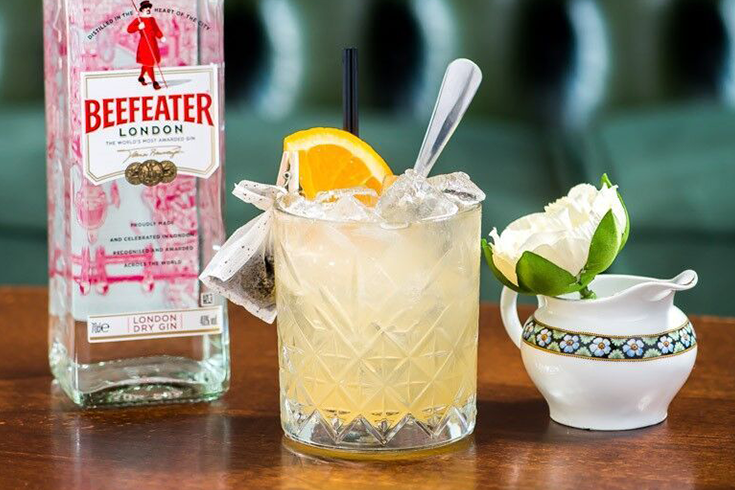 The Tailors Arms is worth visiting for its amazing drinks menu as the restaurant presents a unique wine list offering only the very best of wines and champagnes along with some mouth-watering cocktails for late night drinks. The restaurant looks forward to welcoming its customers with nothing but open arms. Get together with your friends, family or work colleagues and try dining at The Tailors Arms, whether it's for Brunch, Lunch or Dinner. You will not be disappointed! Our beef is 28 day dry aged and sourced locally from Tuxfords farm at Lowdham. All steaks are served with hand cut chips, flat mushroom, grilled tomato and a choice of garlic butter, peppercorn & béarnaise sauce. Items available everyday 12 noon – 5pm. All steaks are served with hand cut chips, flat mushroom, grilled tomato and a choice of garlic butter, peppercorn & béarnaise sauce. Treat your little ones to a delicious meal at The Tailors Arms for just £6.50. Choose a main meal, dessert and squash. Available Monday to Saturday! Treat your little ones to a delicious Sunday Roast for just £6.95 and enjoy a delicious Sunday Roast Menu yourself! Sundays only. Popular brunch offerings such as tomato and avocado on toast are available from £4.50, or enjoy a Tinker Tailor's Breakfast for just £9. Link through to the menu to view more delicious options. Advanced booking is recommended. Get together with family and friends to relax and enjoy a Sunday Roast at The Tailor's Arms form £12.90. Upgrade to a leg of lamb for £14.50 or enjoy a mushroom wellington for just £11.50. Link through to the menu tab to view more delicious options available. Tuck into a delicious lunch from £5.95. With plenty of options available enjoy an express lunch with colleagues, family or friends. View menu for more delicious options. Get together with your friends or family and enjoy a delicious Afternoon Tea at the Tailor's Arms for just £15! Please note: All afternoon tea bookings must be made 24 hours in advance. Get together with your friends or family and enjoy a delicious Afternoon Tea with a glass of Prosecco or Pink G&T at the Tailor's Arms for just £19! Please note: All afternoon tea bookings must be made 24 hours in advance. Why not treat yourself this week and enjoy this delicious buffet menu for just £9! What a bargain. Why not treat yourself this week and enjoy this delicious buffet menu for just £11! What a bargain. Why not treat yourself this week and enjoy this delicious buffet menu for just £3! What a bargain.